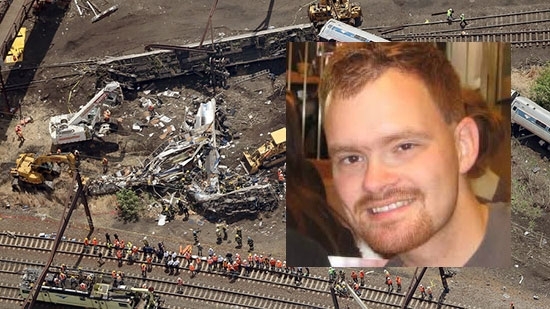 Pennsylvania Attorney General Josh Shapiro announced charges against train engineer Brandon Bostian in the crash of Amtrak 188 two years ago on May 12, 2015. The charges include 8 counts of involuntary manslaughter, one count of causing or risking a catastrophe and numerous counts of reckless endangerment. Earlier this week the Philadelphia District Attorney's office announced that it would not be filing charges against Bostian. It said that it did not have enough evidence to demonstrate 'criminal intent' and couldn't prove the case beyond a reasonable doubt. In reaction to this announcement, the family for one of the victims, 39-year-old Rachel Jacobs, filed a private criminal complaint. On Thursday, Philadelphia Municipal Court President Judge Marsha Neifield responded to the complaint and ordered the DA's office to charge Bostian with involuntary manslaughter and reckless endangerment. The scope of the charges was limited to the Jacobs' complaint. The prosecution of the case was referred to the state AG's office by the city DA's office because of conflict of interest. Shapiro had the option of appealing the judge's order to Superior court. Instead, the state expanded the scope to include charges related to all 8 fatal victims and the over 200 injured. The statute of limitations on charges for this case would have ran out today. City Councilman Kenyatta Johnson introduced a resolution on Thursday morning proposing to rename a portion of Broad Street between Christian and Carpenter in South Philly "Boyz II Men Boulevard." The top selling R&B group consists of Philly natives Nathan Morris, Shawn Stockman, and Wanya Morris. They all attended Philadelphia High School for the Creative and Performing Arts together, which is located on that block of Broad Street. The group is known for their hits such as "MotownPhilly," "It’s So Hard to Say Goodbye to Yesterday," "I’ll Make Love to You," and "End of the Road." They also perform charity and philanthropic work in the community. The council will vote on the measure on May 18th. It is exected to pass. A ceremony would be held in September. I would motion that one side of the street be reserved for “The Roots Ave.” Founders Tariq "Black Thought" Trotter and Ahmir "Questlove" Thompson also attended CAPA together. Saturday, Rain likely, Rainfall near an inch. Locally heavier rainfall possible. High 52.